Last week, I highlighted Apple’s biggest failures. Now I want to move north to Redmond, Washington, to the other Titan of Technology, Microsoft. Like Apple, the company has had its share of fiascos. Let’s look now at Microsoft’s biggest failures. We’ll start with Microsoft’s most infamous flop, Microsoft Bob, which replaced the Windows interface with talking cartoon characters. When that failed, Microsoft incorporated the technology into its Office Assistant product. Like Bob, the Office Assistant had AI cartoon characters pop up to help you. 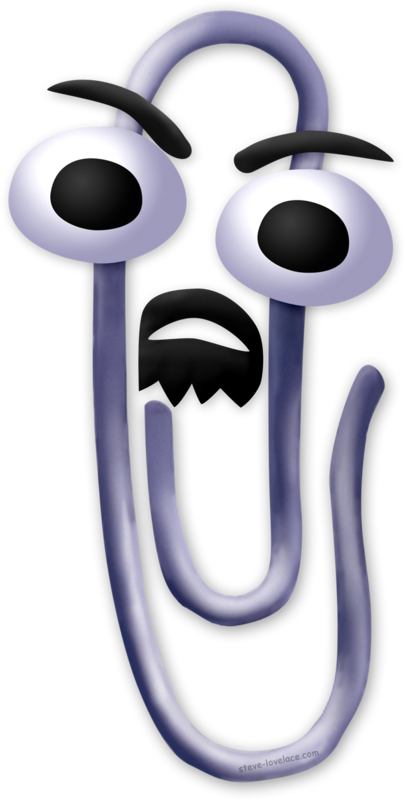 There was a selection of characters, but the default was a talking paper clip named Clippy. Clippy tried to help when no help was needed. For example, if you typed “Dear So-And-So”, Clippy would pop up out of nowhere and say “It looks like you’re trying to write a letter. Need help?” If you clicked yes, he/it would add a bunch of complicated formatting to your document without any meaningful help. Because of this, Clippy became so despised that even Microsoft started making fun of him. You can’t polish a turd. I’m a big believer in “if at first you don’t succeed”, but in the case of Bob and Clippy, it was just a bad idea to begin with. Microsoft would have been better served improving the rudimentary AI instead of tacking on gratuitous cartoon characters. When Windows 95 (one of Microsoft’s biggest successes) came out in 1995, the Internet had yet to become mainstream. People had modems, but they mostly connected to online services like AOL. Microsoft saw a chance to compete here, creating MSN. Like AOL, MSN was a dial-up service that tried to provide all the information and communication a user would need. Unfortunately, MSN failed, not because of AOL, but because of the Internet. People were shying away from comprehensive online services and logging onto the Internet directly. MSN became just another website, playing second fiddle to sites like Yahoo. Even Bill Gates can’t see the future. In his 1995 book, The Road Ahead, Gates barely even mentions the World Wide Web, which soon overtook proprietary online services. If he had known what was going to happen, he would have started a search engine instead, and we’d all be using Bing instead of Google. By the late 1990s, Microsoft had two families of operating systems, Windows and Windows NT. Despite the similarity in names, they were completely different platforms. The Windows code, used in Windows 95 and 98, was based on the old MS-DOS operating system, whereas the Windows NT system was built from the ground up with modern software features. Windows NT was vastly superior, but Microsoft sold it mostly to businesses. Microsoft was working to unify the systems into what would become Windows XP, but in the meantime, they released two interim versions: the NT-based Windows 2000, which was lauded as one of the company’s best products ever. Then there was Windows ME, a DOS-based system that added some bells and whistles to an aging Windows 98. It was buggy and slow, and to this day it’s panned as one of Microsoft’s biggest failures. Don’t rush out a half-baked product for a quick buck. In the long term, you’ll hurt your brand and frustrate your customers. Though it’s been out for less than a year, tech pundits are labeling Windows 8 a failure. While its colorful Metro interface is innovative, the hybrid desktop/tablet system tries to serve everyone, and ends up pleasing no one. Innovation invites failure. Sometimes when you try something new, you fall on your face. And other times you succeed beyond your wildest dreams. I’m bearish on Windows 8, but I’m bullish on Windows 9. I think Microsoft’s Metro interface could work on desktops, but it’s going to take some time.